Author, Darlene Laney brings you the program that inspired her to write, And He Made a Woman. Calling All Girls…It’s Finally Here! Author, Darlene Laney brings you the program that inspired her to write, And He Made a Woman, Becoming a Woman of Quality in a “B” Class World. 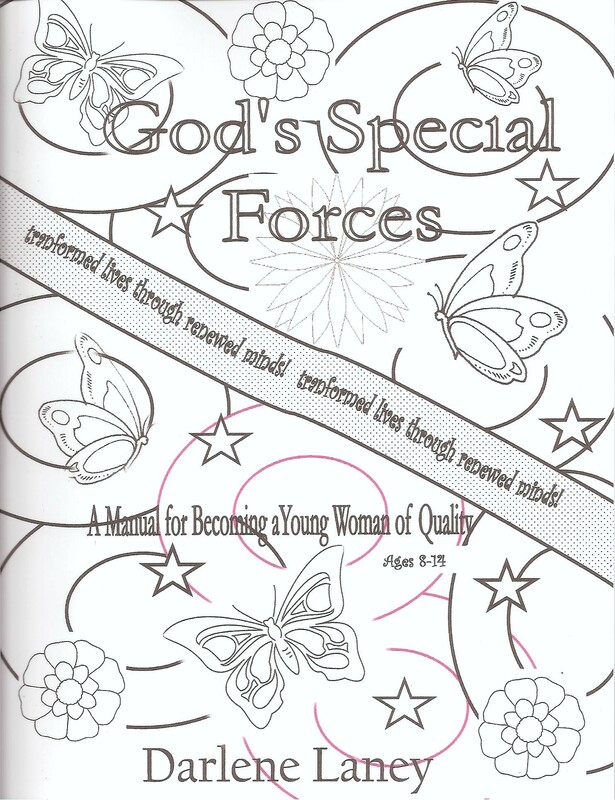 God’s Special Forces, A Manual for Becoming a Young Woman of Quality is an 11-lesson, 119 page charm course that will challenge you, entertain you and inform you. You will learn to step out of the status quo, dare to be uniquely you, and stand for something, not falling for anything. The cover is unique and designed to allow you to color it, personalize it, and make it your own. Unique, like you. An original, one of a kind. 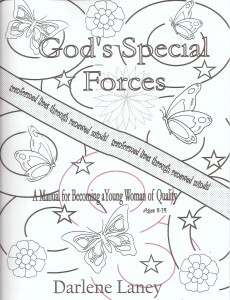 With your Mom, a friend, a group or even on your own, enjoy going through this distinctively different, workbook full of information and ideas that will help you explore and discover true beauty, accentuate the positive, be style savvy, put it all together, and give you more confidence than you ever dreamed! Real talk, fun age-appropriate exercises, quizzes, inspiration and so much more to help you learn to be uniquely you and know: You are Somebody cause God don’t make no junk!